The bike is sturdy and durable. This bike has a glossy white paint finish and cool graphics. The training wheels are easy to adjust and remove. The bike assembly is simple. This bike includes a bell, streamers, and a handle bag. This bike does not have a kickstand. The training wheels is not that durable. The bell, steamers, and the handbag seem low quality. 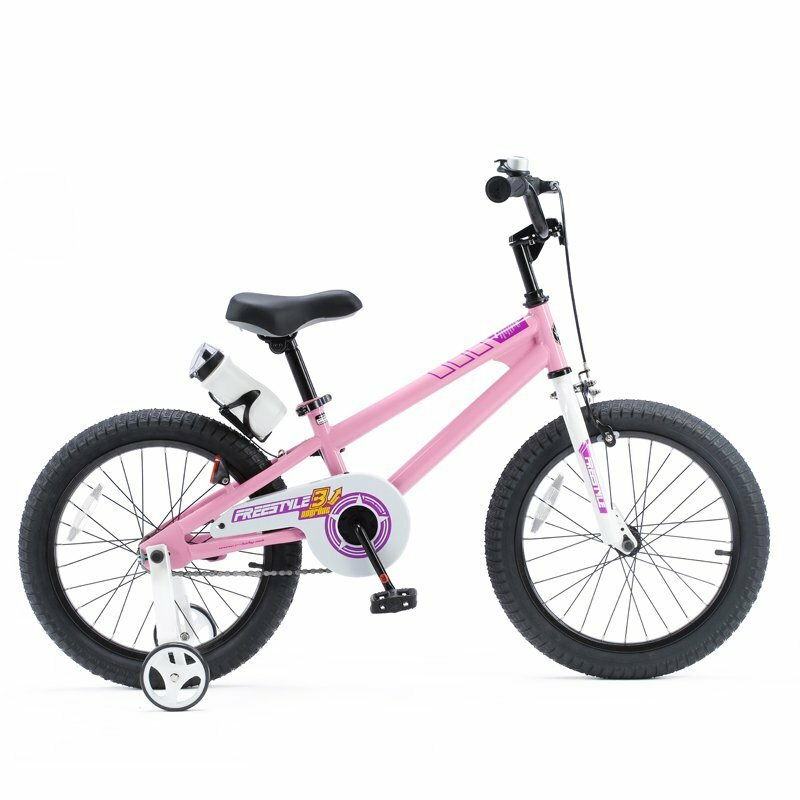 This is the summary of consumer reviews for Dynacraft Hello Kitty Girls BMX Street Bike 18", White/Black/Pink. The BoolPool rating for this product is Good, with 3.90 stars, and the price range is $96.21-$120.48. 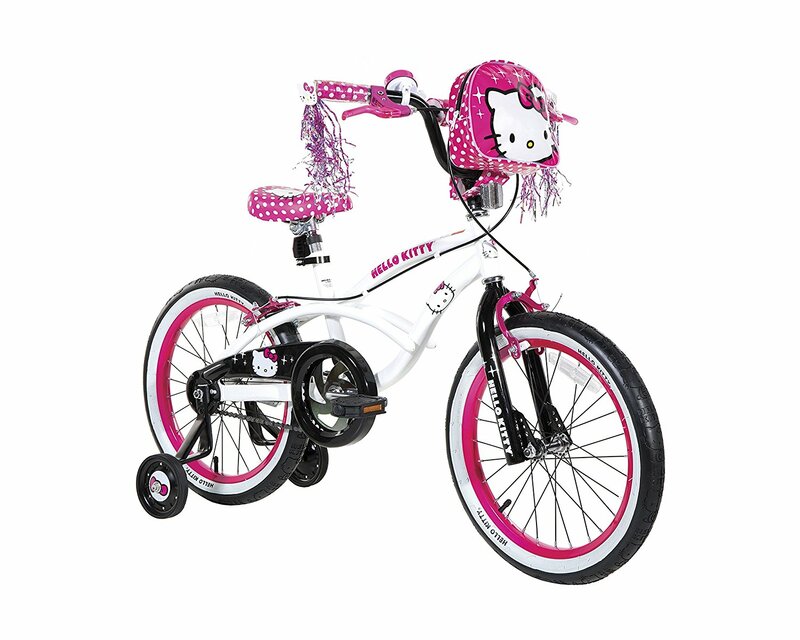 The fans of the "Hello Kitty" will love to ride The Hello Kitty Girls BMX Street 18" bike. It features a sturdy and durable steel frame, a glossy white paint finish, and has a cool graphics. 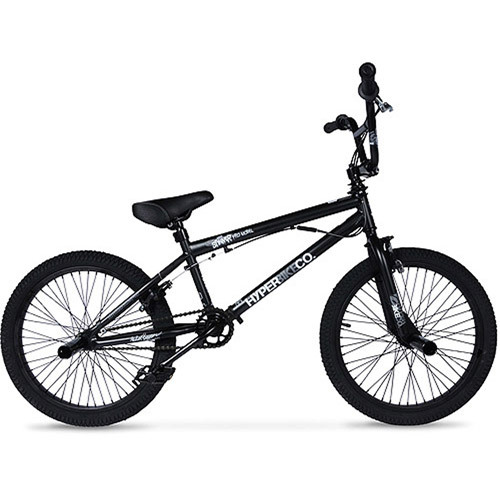 Other features include the front, and the rear coaster and caliper brake for the control, easily attachable and removable training wheels to balance, an adjustable alloy quick release seat, and knobby tires for the grip on the road. 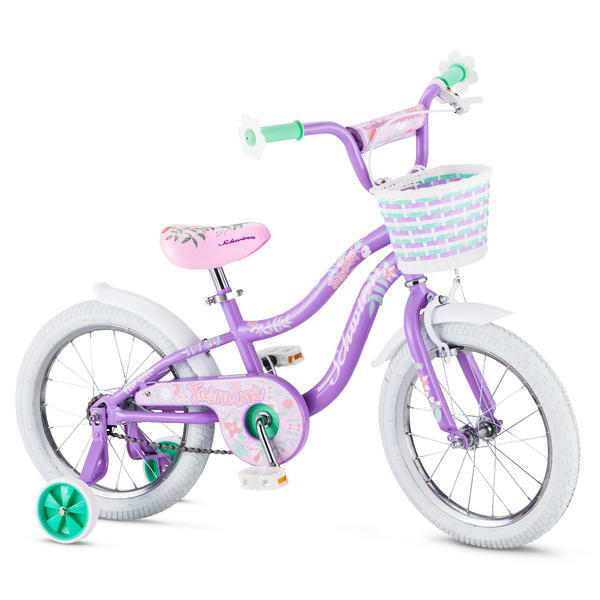 This bike includes a bell, multicolor shimmering streamers, and a removable front handlebar bag for the personal items. The bike gives a lifetime warranty on frame and fork. 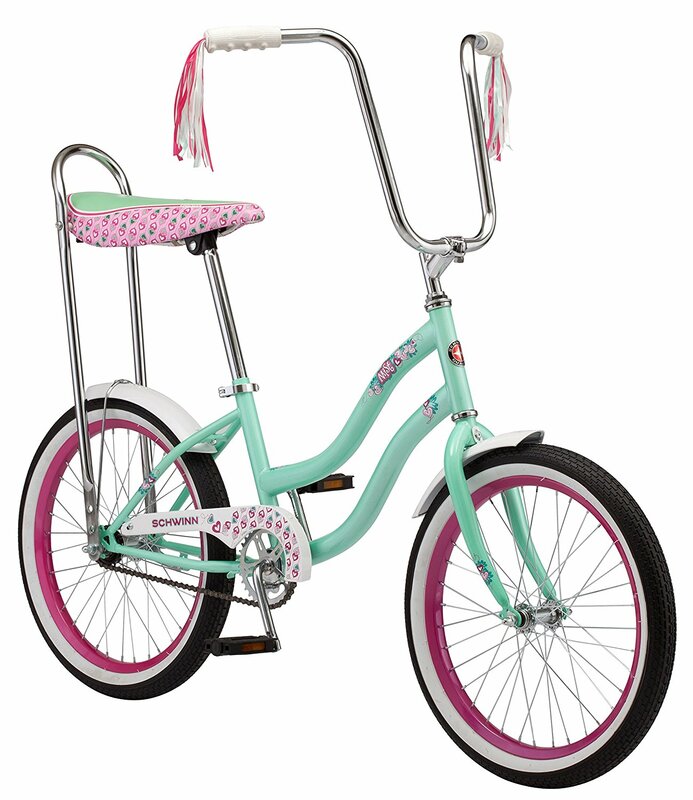 Users love Dynacraft Hello Kitty Girls BMX Street Bike as it is sturdy, well built, and the colors stand out. The bike assembly is simple. 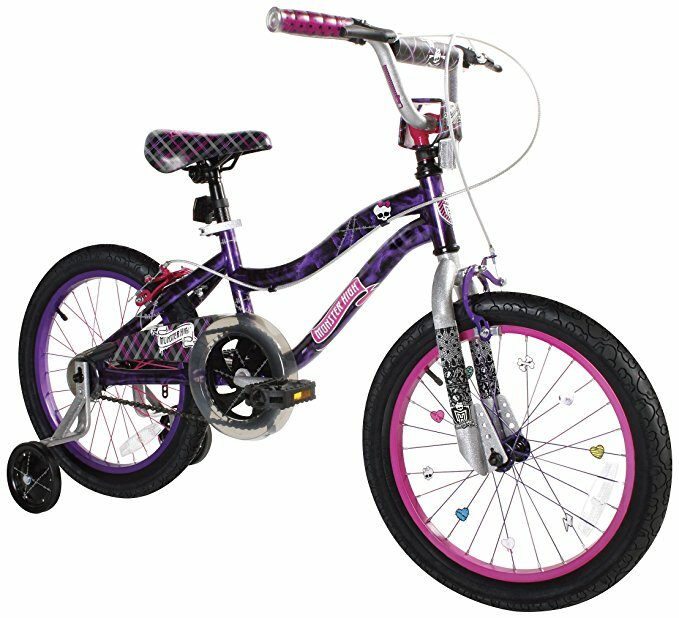 This bike has both hand and back pedal brakes that help the kids to learn to use both the brakes and prepares them for the bigger bikes. Kids are delighted to have Hello Kitty graphics on the tire tread, seat, and the handlebars. However, the bike does not have a kickstand (although it has a bolt hole for installing one). A few received their bike with the wheel parts bent. Some were disappointed with the quality of the training wheels and the handbag. 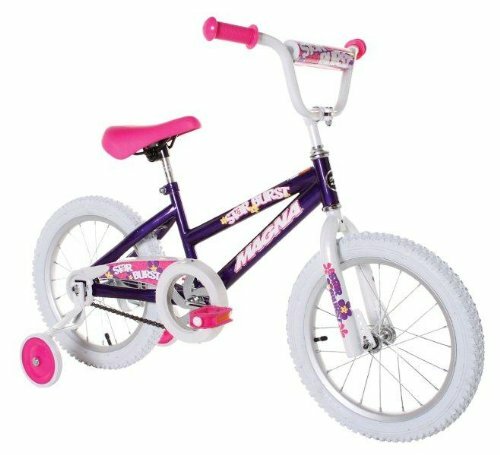 Overall, Dynacraft Hello Kitty Girls BMX Street Bike is a good quality graphics bike for ages 6 to 9. The price was perfect and this bike will serve it's purpose. It's a great quality bike for the price. My 6 year old granddaughter said it was perfect. The Hello Kitty features on the tire tread, the seat, and the handlebars. Nice tires with Hello Kitty tread. Problem is it didn't come with treaded tires they're smooth like what's on the other style this makes me super disappointed. I've found two versions of this bike, I chose to buy the one that'd a soft backpack for the front and treaded tires. Also, the newer model comes with smooth touring tires, not really suited for off-road or aggressive travel. The cheapest replacement tube - not tire - is $40!!!!. My daughter likes it and doesn't know the difference, so I'm not going to upset her by returning it and making her wait a week for her birthday present. Item pictured is an older model with all-terrain tires and pink and white coloring. I've never heard of this bike brand but my daughter was adamant on a Hello Kitty bike for her 6th birthday. Buy a basic bike and Hello Kitty sticker pack. Made very well and easy to assemble. This took hours to assemble and the instructions were terrible. Not too hard to assemble and adjust. Comes mostly assembled, ready to ride in only a few minutes. It didn't take long to assemble and the instructions were sufficient. Noticed it as we were assembling it. The worst part is that the bike was bought on Dec 25th 2016 and her mother never assembled it. I'd never assembled a bike before but the assembly turned out to be pretty straightforward (the user guide was useless though). I Got the bike back from my ex, spent about 30 minutes to assemble the bike, took it to a gas station, filled up the tires with air and left it in the back my wrangler. The colors stand out. The kids are delighted. The bike arrived just in time for my daughter's birthday. Arrived on time not damaged grand daughter thought it was the best bike ever!!!. The colors really stand out and daughter seems delighted. Bought two for my identical 6 year old grand daughters. The rims are warped so it's really hard for our daughter to pedal/learn to ride. My daughter is enjoying her new bike. The Bike front rim was ruined and a spoke was broken so the tire wobbled any daughter couldn't ride it. 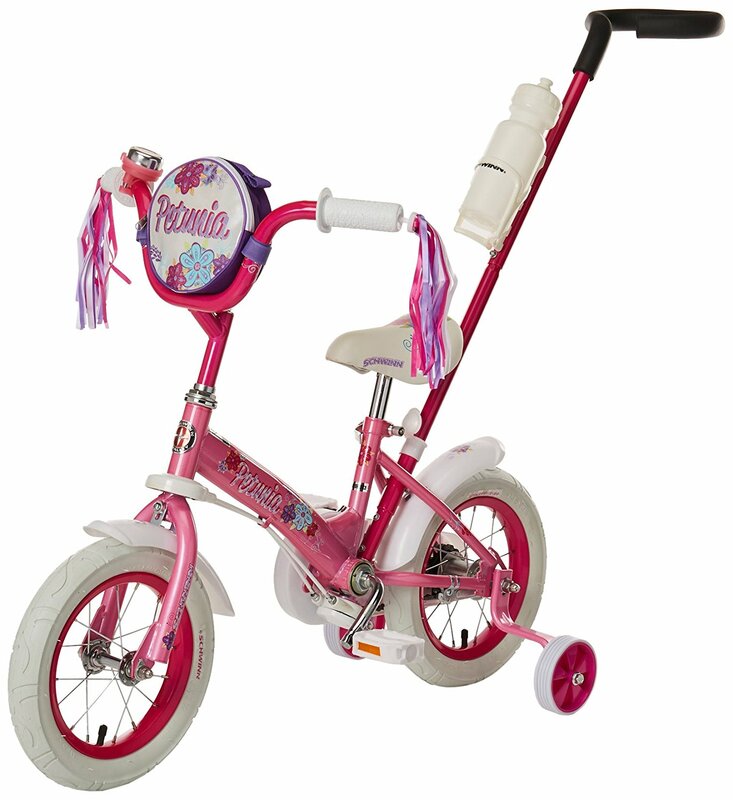 We were pleasantly surprised by the quality of this bike we purchased for our grand daughter. 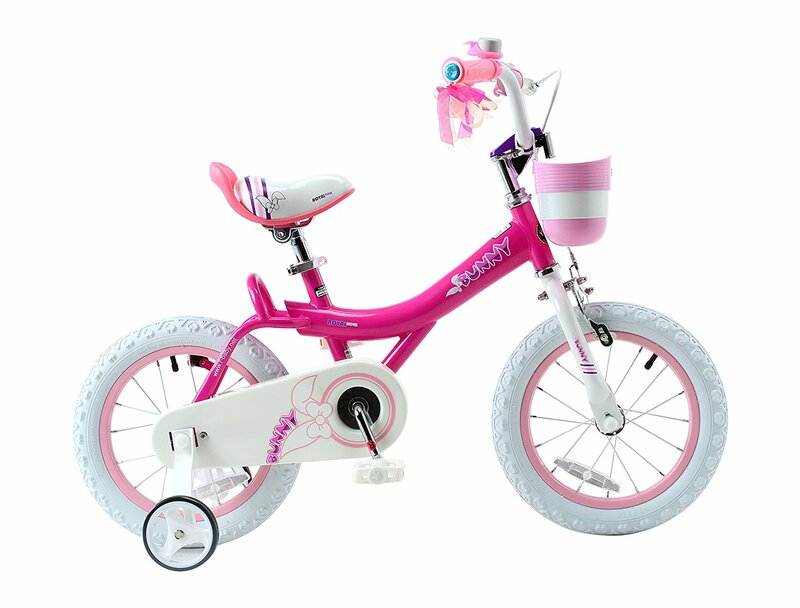 My grand daughter, who lives in Petersburg, Alaska, requested a pink bicycle for Christmas. bike showed up with a bent rim terribly bent it was for my daughters birthday and not enough time to recieve replacement tales a week don't waist your time. Both the wheels were bent when it arrived. The training wheels are not durable. The back wheel was assembled but the wheel wouldn't turn. Both wheels are bent severely when it arrived. training wheel broke after 3 uses, but she's now learned 2 wheel and the rest of the bike is perfect and so cute. First box had slight damage and wheel was severely bent. Front wheel was bent and the inner tube had a large bubble. I'd have given 4 or 5 stars but our bike only came with one training wheel! The training wheels bent and don't hold the bike up no matter how we try to fix it... we'll probably be buying new training wheels which is a bummer because the ones that were supposed to come with it we're supposed to be functional. If you order this bike MAKE SURE TO CHECK THE FRONT WHEEL FOR STRAIGHTNESS!!! Now if I can just get her riding without the training wheels. The side wheels are a little noisy but otherwise the bike is great quality and style. Super cute bike, kids love it. My daughter love this bike!. My daughter loves the bike. Super cute bike..my daughter loves it. my 6 year old daughter loves it,. My daughter loves her new bike from Santa. My daughter is going to love it. Little girl loves this bike.